Android has long had a free, ad-supported version of Angry Birds. Today, Rovio unexpectedly drop the price of the original Angry Birds game on iOS to the low price of $0. Previously, the original Angry Birds cost $0.99 and $2.99 for the iPhone and iPad respectively. It has been four years since the release of Angry Birds so there are very few people who haven’t played the game. Even so, making Angry Birds free isn’t going to impact Rovio’s profits much as it has many, many other versions of Angry Birds which are still paid or ad-supported. While there was a free version of Angry Birds in the Apple App Store, those were very limited and only provided a few levels to play. These free versions have now been completely removed from the App Store. Rovio is smart for making Angry Birds free as it will give first time players a taste of the game so they will be more likely to purchase the other versions like Angry Birds Space or Angry Birds Star Wars. 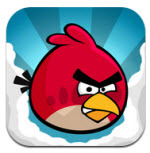 You can download Angry Birds here.